Subscribe to our 2013-2014 Season! Mourning Becomes Electra, the tragic tale of family relationships gone awry plays out. Two murders and two suicides in three acts pretty much sums up the family dynamics. The story is an update of the Greek myth of Orestes and was composed by Fort Lauderdale resident Marvin David Levy. Nov 9, 2013, at 7:30 p.m.
Nov 16, 2013, at 7 p.m.
Nov 17, 2013, matinee at 2 p.m.
Nov 19 & 23, 2013, at 8:00 p.m.
BUY SINGLE TICKETS ONLINE NOW! This opera favorite recounts the melodramatic story of a beautiful opera singer, Floria Tosca, and a lecherous police chief, Baron Scarpia, who unleashes a lustful plan. The tale plays out to a murderous and powerful ending. Composer Giacomo Puccini has never been better. Mar 30, 2014, matinee at 2 p.m.
Apr 1, 2, 4 & 5, 2014, at 8:00 p.m.
Apr 10 & 12, 2014, at 7:30 p.m.
May 6 & 10, 2014, at 8:00 p.m.
Photo from Mourning Becomes Electra © Rozarii Lynch for Seattle Opera. 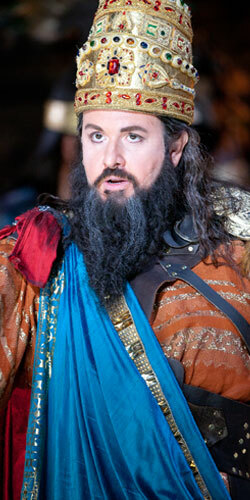 Photo from Nabucco © Scott Suchman for Washington National Opera. 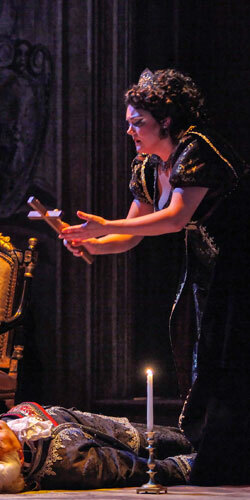 Photo from Tosca © Richard Termine for Sarasota Opera. Photo from Thaïs © Palm Beach Opera.